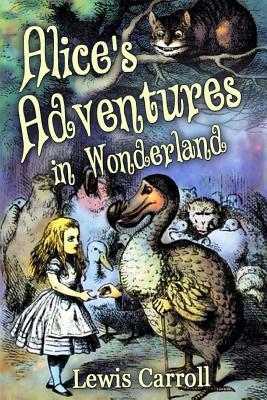 Alice's Adventures in Wonderland is a work of children's literature by the English mathematician and author, the Reverend Charles Lutwidge Dodgson, written under the pseudonym Lewis Carroll. It tells the story of a girl named Alice who falls down a rabbit-hole into a fantasy realm populated by grotesque figures like talking playing cards and anthropomorphic creatures. The Wonderland described in the tale plays with logic in ways that have made the story of lasting popularity with adults as well as children. It is considered to be one of the most characteristic examples of the genre of literary nonsense. Charles Lutwidge Dodgson (27 January 1832 - 14 January 1898), better known by the pen name Lewis Carroll, was an English writer, mathematician, logician, Anglican deacon and photographer. His most famous writings are Alice's Adventures in Wonderland and its sequel Through the Looking-Glass, as well as the poems "The Hunting of the Snark" and "Jabberwocky," all examples of the genre of literary nonsense. He is noted for his facility at word play, logic, and fantasy, and there are societies in many parts of the world (including the United Kingdom, Japan, the United States, and New Zealand) dedicated to the enjoyment and promotion of his works and the investigation of his life.